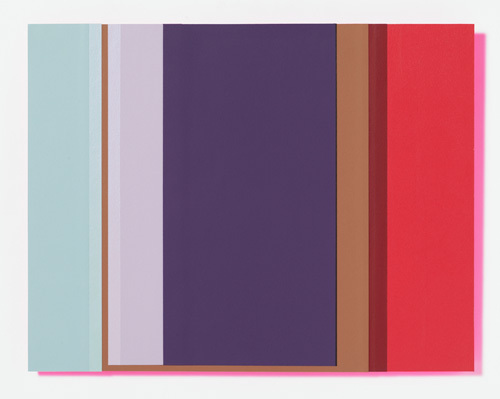 I refer to these paintings as Color Zones. 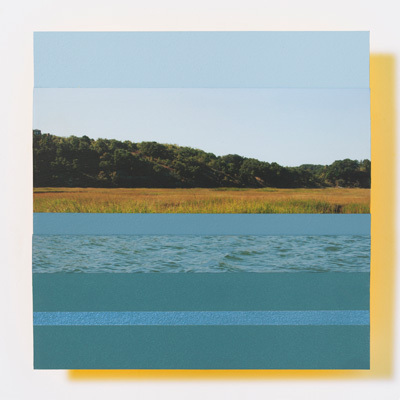 Zones refer to bands of color which are sheets of acrylic painted BFK Rives paper. Some edges are cut, some painted, and some cast shadows. With a shift in the viewer’s position, interference pigment will alter a specific color. Color Zones project out an inch from the wall reflecting tinted shadows onto the wall. Each color relationship reads boldly from a distance, while upon closer inspection, more subtle color interaction becomes visible. "kept with the spirit that color has the power to move us psychologically, emotionally, and intellectually. 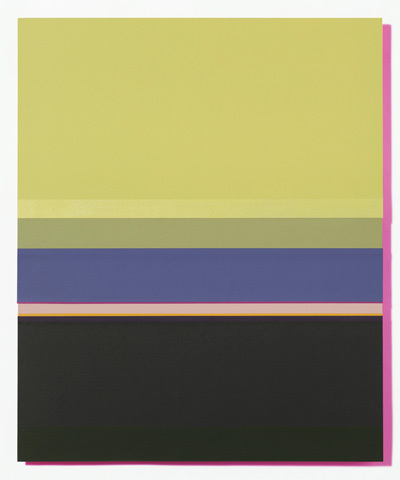 I was drawn to the works where the use of color was the primary subject. 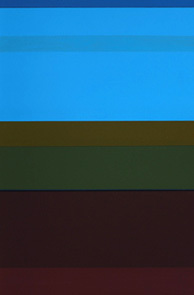 I am referring to the way a group of colors work together as a whole, rather than the use of any single color. 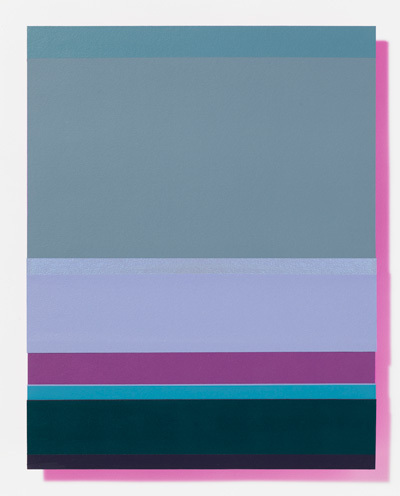 I then looked to the works that created an atmosphere, mood and experience through color alone." 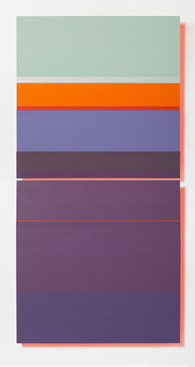 "Jane Lincoln’s elegant and abstracted Color Zones bring to mind the work of painters of the 1960s and ‘70s such as Ellsworth Kelly, Brice Marden, or Blinky Palermo, who used solid planes of color to represent the world around them (Kelly’s canvases in particular are grounded in observed reality, whether the curve of the page of a book or a landscape glimpsed from a train window). 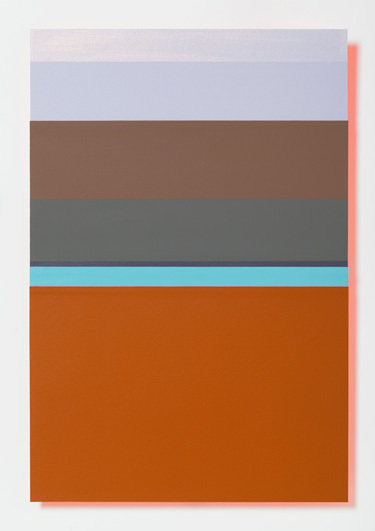 The push and pull of various colors as they interact with one another is brought gracefully to life in Lincoln’s layered work – each area of color is a separately painted stratum she then carefully collages." 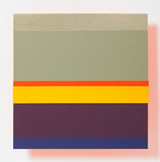 Alvateer awarded this painting second place in the 32nd Annual Faber Birren Color Award Show at the Stamford Art Association in September of 2012. Over four hundred entries were received and three awards were presented. 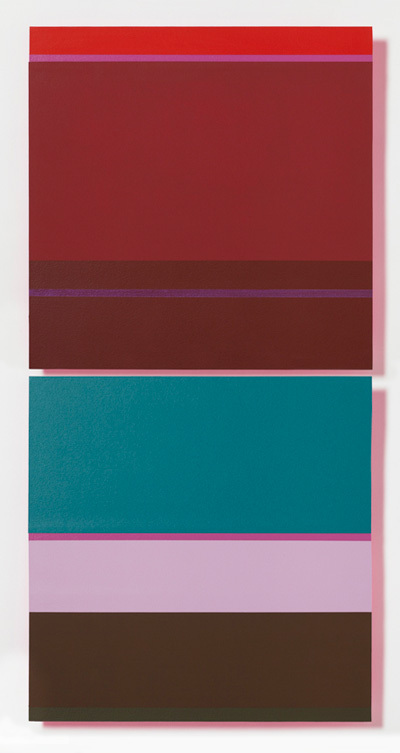 Pink Link was in "Danforth Art Annual: 2016 Juried Exhibition"
The brown color is identical in both vertical stripes as is evident in the connection across the bottom. 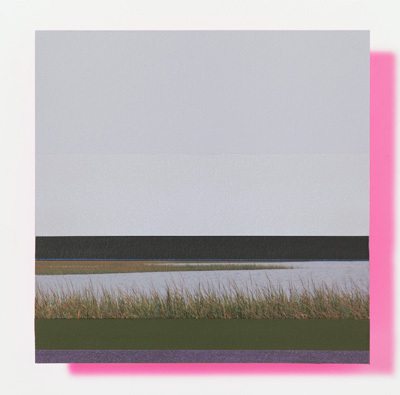 A return to landscape work brought digital photography into some paintings.